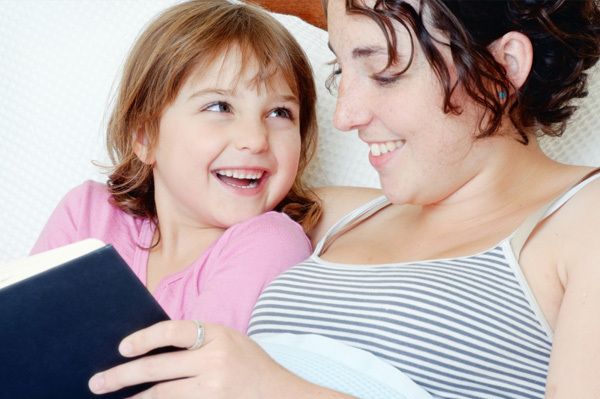 Help your kids discover books they love and make reading a life-long passion for them! There’s a world of choices at your local library. One of the greatest gifts to pass on to your children is a love of reading! Kids who read for fun discover whole new worlds within their imaginations, on average do better in school and are creative and informed. Make it a routine and a treat to visit your local library often, and allow your kids to choose some books. There are wonderful selections the library can guide you to, and choices of books for children of every age and interest. Even the littlest ones will look forward to picking picture and storybooks for you to read together, and they’ll be on their way to a life-long love of reading. Pre-schoolers and beginning readers will look forward to the time you spend reading together and introducing them to the fanciful worlds discovered in books. Patricia Lankin’s Beach Day, Snow Day and Camping Day are sweetly illustrated and simple for small children to follow. Giggle together with A Giraffe and a Half by Shel Silverstein or David McPhail’s Pigs Ahoy. More animal fun to share is found with Karma Wilson’s series on bear adventures, Bear Snores On and Bear Wants More. Girls of all ages will get a laugh at the antics of sisters Beezus and Ramona in the classic series by Beverly Cleary, including Beezus and Ramona, Ramona the Brave, Ramona’s World, Ramona Quimby Age 8, Ramona Forever and other titles. Girls who love adventure will gobble up the vast Nancy Drew series about the clever girl detective and smile at Jane O’Conner’s little diva, Fancy Nancy. The book awarded honours as the New York Times Juvenile Outstanding Book of 1964 still delights kids. Harriet the Spy by Louise Fitzhugh follows the adventures of aspiring writer and spy 11-year-old Harriet Welch, who carefully observes others and writes her thoughts down in a notebook. The drama begins when Harriet loses her notebook at school and her classmates find it, and are appalled at the things she’s written about them. The students form a “spy-catchers club” to get even with Harriet and she plots ways to get back in their good graces and to get revenge for the mean treatment her former friends are heaping on her. Boys love adventure and there are wonderfully engaging action books that will keep them enthusiastically reading, too! Creepers by Keith Gray, Nothing But the Truth (and other titles) by Gary Blackwood, Lensey Namioka’s Island of Ogres, and the classic Wilson Rawls novel Where the Red Fern Grows are excellent choices. Treasure maps marked with an “X,” schooners, tropical islands and one-legged seamen with parrots on their shoulder… what boy wouldn’t like a pirate adventure! Scottish author Robert Louis Stevenson’s classic Treasure Island was first published in 1883, narrating a still-shivers-your-timbers tale of pirates and buried gold. Half the fun of reading is helping your children discover books that they love. Introduce them to a few favourites and classics and get them started on the reading-for-fun journey.